I truly do not understand Ron Paul’s delegate-based approach: his team seems to be making sure that his supporters are elected as delegates, regardless of whether or not he won the popular vote. He’s not going to win the presidential nomination (there’s no way of that happening), but he will get attention and a voice in the platform that by far exceeds the ratio of actual popular votes he has received. His voice will be amplified, not because he represents the voice of a large number of people, but because he represents a small number of people who happen to know how to game the system. Let me take that back a little: I *understand* what he’s doing. He’s taking advantage of the fact that delegates are appointed separately from the caucus votes, as in Iowa where “delegates elect delegates who elect delegates”. It’s a grueling process, and not everyone has the stamina for it. What he’s doing is perfectly legal. Yet in Iowa, where he came in third, it seems that 20 out of the state’s 28 potential delegates will be Paul supporters. 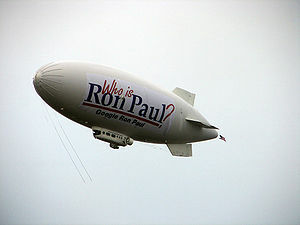 For all intents and purposes, Ron Paul won Iowa. What I don’t understand is: why would anyone support as candidate for President someone who is so dismissive of the will of the voters? Shouldn’t the fact that a large majority of people in Iowa did NOT vote for him mean that he should get no more than 1/5 of total delegates, equivalent to the number of people who DID vote for him? Isn’t this behind-the-scenes maneuvering a very dishonest way of saying “we don’t care who the people of the state wanted to elect, we want Ron Paul instead”? It’s not behavior I find surprising from Ron Paul. It seems to line up well with his general “I support States’ rights if I oppose the current Federal law, but I support Federal law if I agree with it” approach. I do “understand” what he’s doing. But I find it surprising that people support it.